I love soup. It’s hearty, healthy, and comforting. With the Farmers’ Markets packed with produce, this is a great way to use up some veggies and kind of ease your way into fall. My mom’s minestrone is at the top of my list of favorite things. It’s delicious the day of, for days afterwards, and even pureed. We’ve always added some thinly sliced provolone cheese to the soup to give it a little more richness, but that’s up to you. 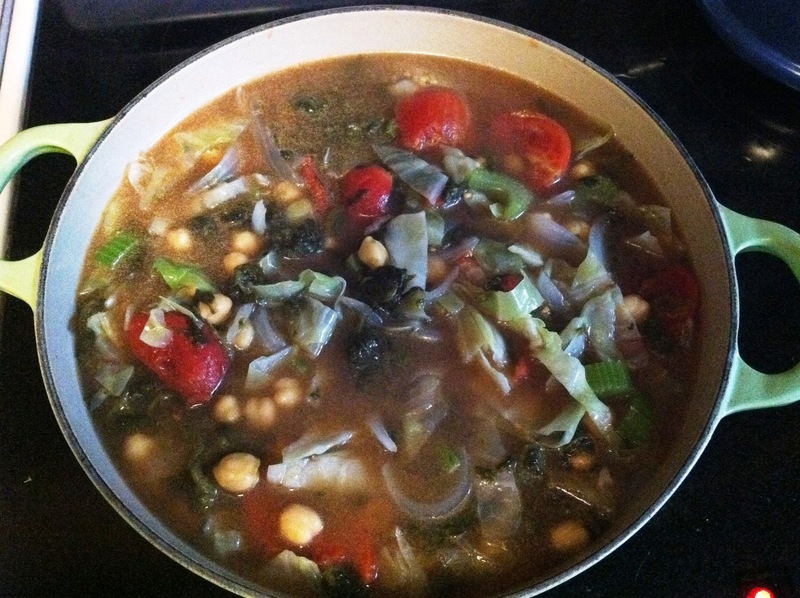 This minestrone just makes me feel better every time I have it. 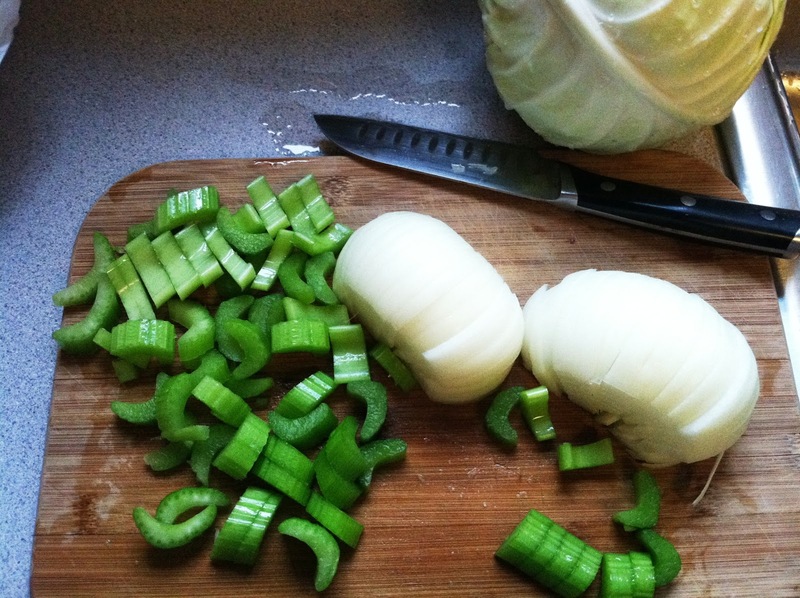 – 1 cabbage, sliced into long strips. 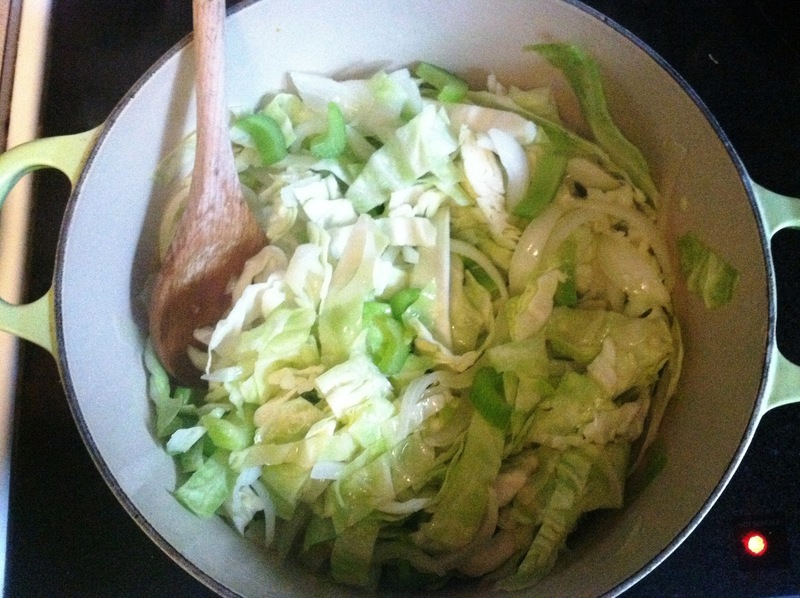 I usually take out the “ribs” of the cabbage and just use the majority of the leaves. 1. 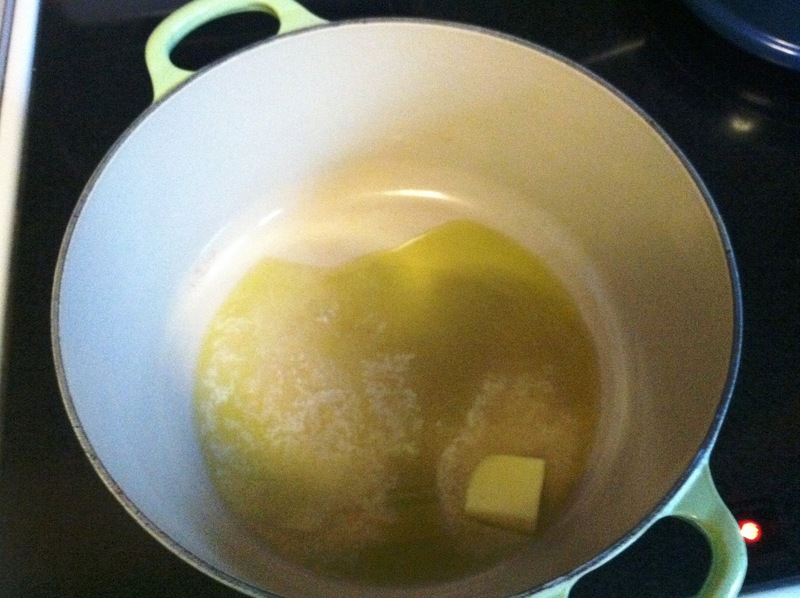 In a large stockpot, melt 3 tablespoons butter over medium high heat. 2. Get your veggies ready, and then add them to the pot with the melted butter. Cook down until wilted. 3. 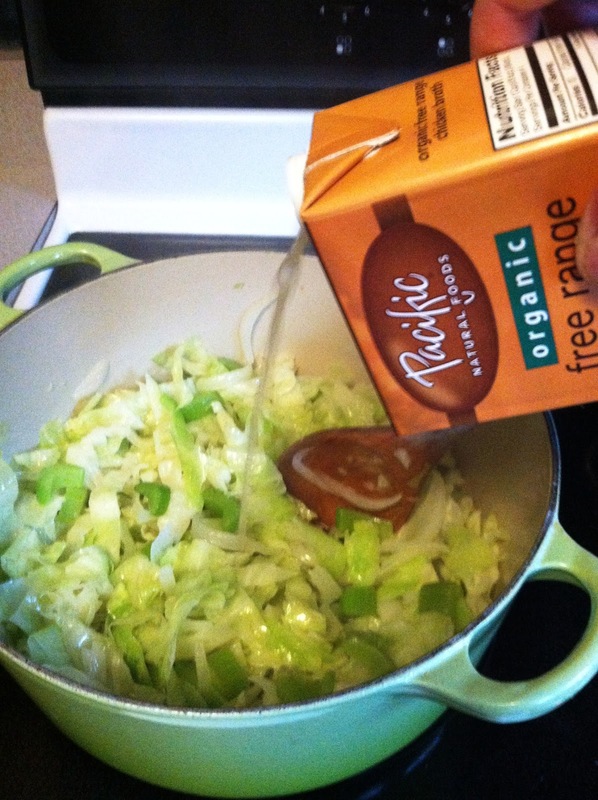 When the veggies are soft, add the chicken or veggie stock, and stir. 4. 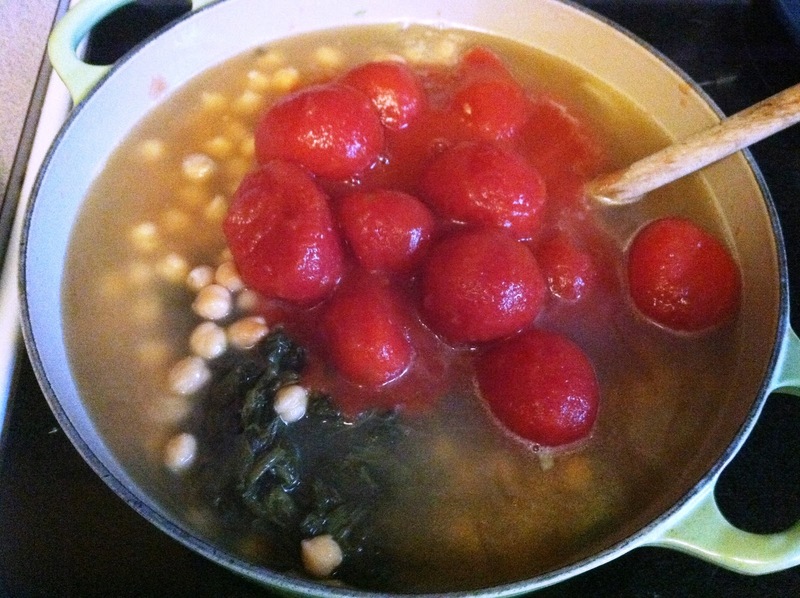 Add tomatoes and juice from the can, spinach, and chick peas. Stir, cover, and turn heat down to low. Simmer for 1 hour or up to 4. Add kosher salt/pepper to taste, but be careful not to overseason – the flavors will continue to come together overnight. 5. 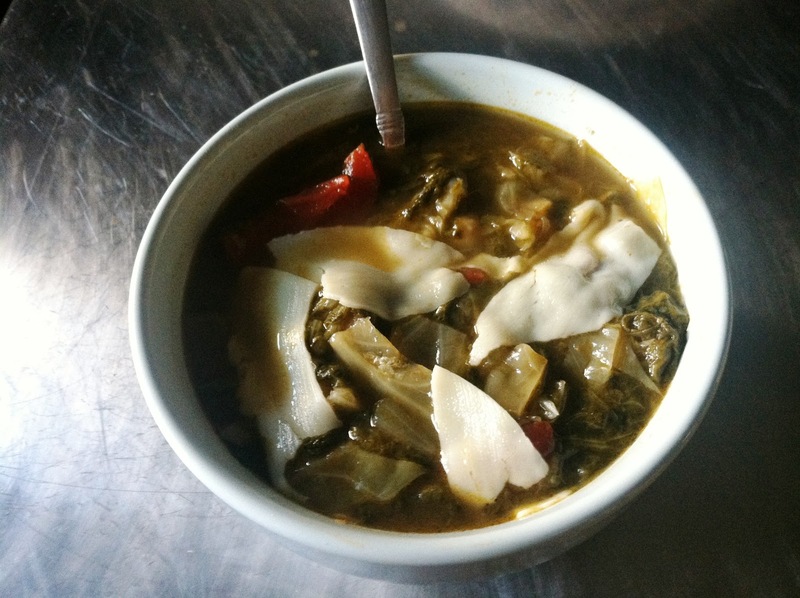 When soup has simmered enough (I usually can’t wait the 4 hours), pour yourself a bowl, shred some provolone cheese into it, and dig in. This is good today, but it will be great tomorrow. 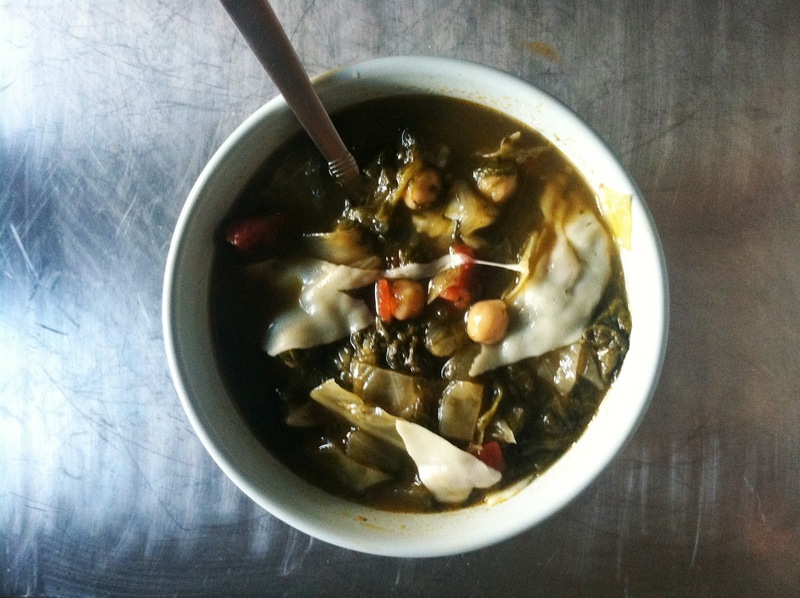 This entry was posted in dinner, fall, farmers market, gluten-free, lunch, minestone soup, mom, paleo, vegetables, vegetarian on September 25, 2012 by westyn.